Over 74 countries have an Income Tax Treaty with the United States, and Israel is no exception. In fact, the U.S. Israeli Tax Treaty is from 1975, and it has long since needed an update. If you are a dual citizen and paying taxes in both countries, it is important to know what is included in the treaty, and equally as important to know what is not included. Below we will show the importance of the tax treaty and go through some of the most important parts of the treaty between the U.S. and Israel. Unlike almost every other country in the world, the U.S. imposes taxes on citizenship and on worldwide income. This makes the tax treaty more crucial than in other countries that may only tax based on residency. If you are a German citizen living in Israel with purely Israeli income, you don’t have to worry about German taxes. However, if you are also a U.S. citizen or green card holder, you not only have to file tax returns in the U.S. on your Israeli income, but you may even pay U.S. taxes. For example, someone born in Israel, who has never stepped foot in the U.S., has only Israel source income, but was born to U.S. parents and is therefore a U.S. citizen themselves, would need to file and pay taxes in the U.S. This is a well-known phenomenon called the “Accidental American”. So what does the treaty do? It explains how the taxes should work between the two countries and when Israel or the U.S. gets the “first bite” of taxes. You may ask: doesn’t the treaty protect against double taxation? It does have an article to this effect. However, while you are generally not subject to double taxation, you are subject to the highest rates in either of the two countries in each category of income. As a quick example, if you have dividends which the U.S. taxes at a rate of 20% and Israel taxes at 25%, you will end up paying 25% since that’s the highest rate. At the same time, if you have Israeli interest income, you can pay as low as 10% in Israel, but the U.S. will tax you up to 37%. The U.S. may allow a credit for the taxes you pay in Israel, but you will have to pay the additional 27% to the U.S.
Additionally, the treaty gives some protection in certain circumstances to non-U.S. citizens that have U.S. income. For example, an Israeli that went to the U.S. for university, or has a pension from when they worked in the U.S. for a number of years. The treaty clarifies if this type of income is taxable or not. That being said, let’s go through some of the more common and helpful treaty positions to be aware of. Social security is double sided and both creates what most feel is an unfair tax burden while also giving a big tax break on benefits received. The U.S.-Israel tax treaty is specifically an income tax treaty. In addition to an income tax treaty, most countries also have a totalization agreement with the United States. The fact that Israel does not have a totalization agreement is extremely unusual. A totalization agreement is used to exempt self-employed individuals of a foreign country from paying U.S. social security tax. For example, if you are self-employed in the U.K., Germany, Switzerland, or many other treaty countries, you do not have to pay U.S. social security (or self-employment) tax since you are likely paying that country’s social security tax. If you are self-employed in Israel; however, you will have to pay both Bituach Leumi (National Insurance) and U.S. self-employment tax of around 15% on your net income. For many, this additional tax burden is too difficult to add to their already heavy Israeli taxes.Additionally, with the Tax Cuts and Jobs Act of 2017, it is becoming increasingly harder to avoid this tax. This exempts Social Security benefits received by a resident of Israel from tax in both the U.S. and Israel. This can be a big benefit for people looking to make Aliyah later in life. It is also a silver lining for many who are working in Israel and paying U.S. social security taxes. Unfortunately for that Israeli resident, the Windfall Elimination Provision might reduce the amount of benefits they are eligible to receive. Both payments and benefits should be discussed with your accountant to figure out the tax ramifications. Pensions is another heavily discussed topic and again depends on what the situation is. There are big benefits for someone making Aliyah with a U.S. IRA, 401-K, or other deferred pension. Israel has something in place outside of the treaty that benefits olim. For the first 10 years of Aliyah, U.S. pension income is tax exempt in Israel. Even after this 10 year period, there can still be big benefits. The Israeli code under tesha gimel, taxes olim on their foreign pensions to the extent that they would have been taxed in their original country of origin. Meaning that if the U.S. tax would be 20%, Israel will not tax it more than that 20%. At the same time, based on the U.S.-Israel tax treaty, this income can be sourced to Israel and offset by other foreign tax credits. This leads to big planning opportunities for pensioners to be able to minimize their taxes both in Israel and the U.S. For example, if a married couple who made Aliyah 10 years ago has enough income from other sources, and can pull out 24,000USD or less per year from their U.S. pensions, they would be pulling this amount out tax-free in both countries. As we will see later, Article 6 “the savings clause” negates this part of Article 20 for dual citizens. However, people who are Israeli citizens only, but have a U.S. IRA or pension, can pull the money out U.S. tax free. This leads to a lot of planning opportunities if you are within the proper age span and have recently returned to Israel after working in the U.S.
Conversely, Israeli pensions, while a big topic of dispute, are almost never treated favorably. As in other areas, being a U.S. citizen taints the benefits received by Israeli laws. When Israeli pensions are accruing, according to some accountants, the accrued income is taxable in the U.S. According to others, they grow tax free, but upon withdrawal create a taxable event which is often exempt in Israel. In either case, people who hadn’t previously filed for a number of years and started filing while pulling out pensions, can face heavy U.S. taxes on their Israeli pension withdrawals. Additionally, as mentioned above, if you have an Israeli pension it may reduce the amount of U.S. Social Security benefits you are entitled to if you qualify for them. If you have U.S. or Israeli pensions, the treaty can help mitigate taxes, but you should speak to your associate to maximize on tax savings. We also recommend consulting with an Israeli tax advisor. This is arguably the most important paragraph in the treaty, and probably the most forgotten when discussing it. What the above paragraph means is that with some exceptions, it is basically as if the whole treaty doesn’t exist for dual citizens. The exceptions to this rule are what appears in paragraph (4), which includes some items like social security, which we discussed above, charitable contributions, grants, and others. While it may get rid of a lot of the benefits for dual citizens, we may still be able to help you use the treaty to benefit some of the dismissed articles. 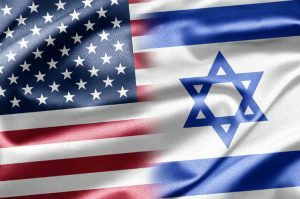 While the U.S.-Israel tax treaty can be very technical, it is very important for those taxed by both countries to use a CPA knowledgeable in its sourcing rules and the benefits that it can provide. Please free to get in contact with us to find out how we can help you with your US tax needs.